MSF often hits the headlines when an emergency dominates the news, such as an earthquake, tsunami or war. But we constantly deliver humanitarian aid projects, from disaster response to long-term medical programmes which stretch over decades. Even if we are not active in a country we can deploy within hours. MSF has developed pre-packaged disaster kits, including a complete surgical theatre, an obstetrics kit and an inflatable hospital. These kits are now used as models by emergency relief organisations worldwide. We have logistics centres and warehouses around the globe. Here we buy, test and store equipment including Toyota Land Cruisers, communications material, power supplies, water-processing facilities and nutritional supplements. We also store thousands of tents, shelter kits and other non-perishable items. Planes can be loaded and flown into crisis areas within 24 hours. Not everything strikes without warning; some disasters are slow. They unfold over decades as a disease devastates a population, instability undermines the health system or people are actively excluded from care. Also, after a rapid emergency subsides people can find it difficult to access healthcare as the area struggles to recover, the government is overwhelmed by the scale of the problems or new health problems are sparked, such as cholera outbreaks when clean water supplies are disrupted. In these cases, MSF works to give people access to health care and to tackle diseases which need long term treatment, such as HIV/AIDS, tuberculosis and neglected tropical diseases like sleeping sickness. In some cases there is no functioning health care infrastructure and we build or renovate clinics, introduce ambulance services or set up treatment programmes. We have worked in some countries for decades. If we were to withdraw too soon the health care vacuum could create an emergency, forcing us to return. We work with other aid organisations and governments, when appropriate, to improve health care and end the threat of emergency. The scope and scale of our work gives us unique access to diseases, data and the reality of delivering care in extreme situations. MSF works hard to improve the way we work and to share the results with others. 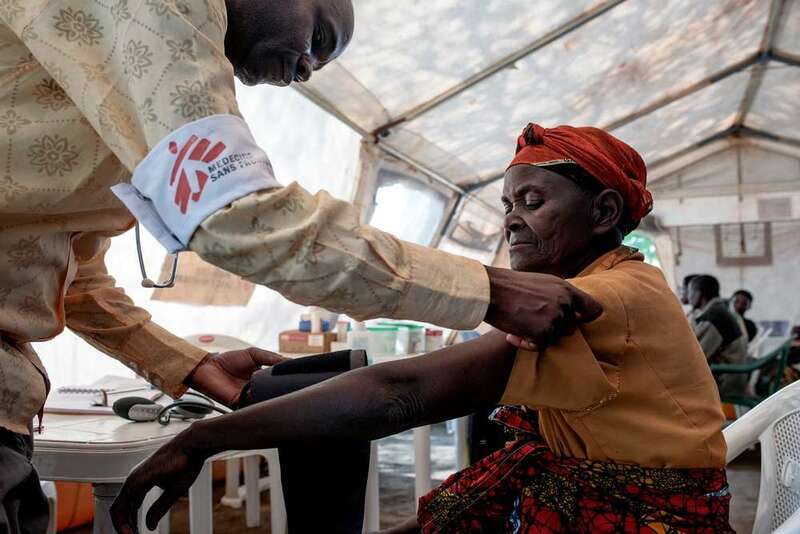 MSF has a team of experts working to improve the quality of MSF’s medical programmes. It identifies developments in the management of medical issues such as tuberculosis (TB), HIV/AIDS, malaria and environmental contamination. The unit then helps our field projects put these changes into practice. In 2003, seven organisations from around the world joined forces to establish DNDi, Drugs for Neglected Diseases Initiative. A mobile team travelled through the Central African Republic in 2012. Over 18 days in one city they screened 4,534 people for sleeping sickness. In the week before screening, community health workers, with the help of local authorities, travelled around the area raising awareness of the disease and passing on the message that free testing and treatment was available.